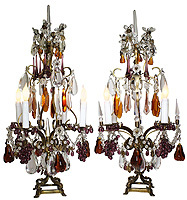 A Pair of Italian 19th /20th Century Florentine Cut-Clear and Color Glass Four-Lights Girandoles Table Lamps. 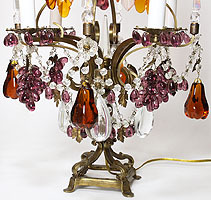 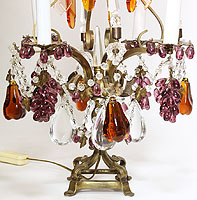 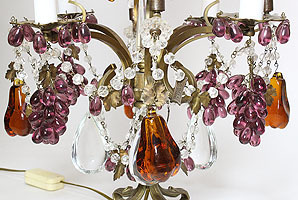 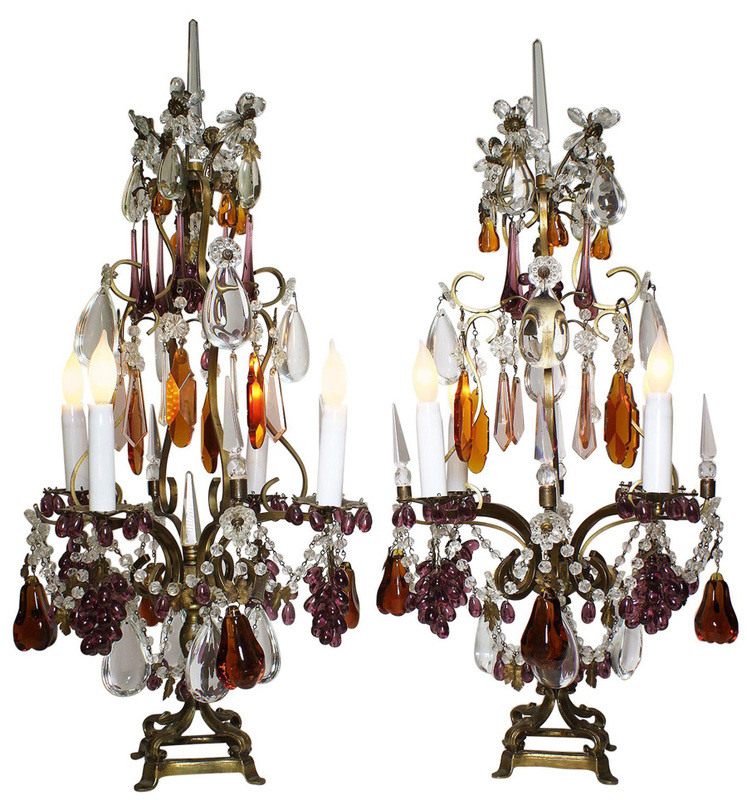 The scrolled bronze frame with four scrolled candle-arms, surmounted with cut-glass tear-drops, floral design cut-glass petals, amethyst cluster of grapes and drops, amber colored glass pears and apples and pendants, and clear crystal obelisks, all raised on a patinated bronze base. 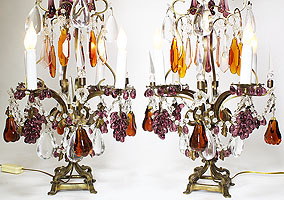 Circa: Florence, 1900.